There's a team dedicated to programming the robot to make sure the robot can perform by itself in autonomous mode and respond to the commands of the human drivers during Tele-Op mode. Other students are in charge of different departments like mechanical, electrical, drive train, and the other functions of the robot. They have to strategize and negotiate on the fly which is pretty fascinating to witness. Other students participate in the tournament in scouting and spirit roles. All the kids in the stands always have a real good time supporting the team. Even the coaches come up and hang out with us from time to time. Losing in the finals did not mean we left the tournament empty handed. KING TeC was awarded the Chairman's Award for the tournament which is considered to be the most prestigious award at FIRST. It honors the team that best represents a model for other teams to emulate and best embodies the purpose and goals of FIRST. This team has a long history of success and has done so much to promote STEM over the years. This group of students and the alumni that came before them really deserve a lot of praise for the effort and hard work they've put into this program. We are very proud of all of them. 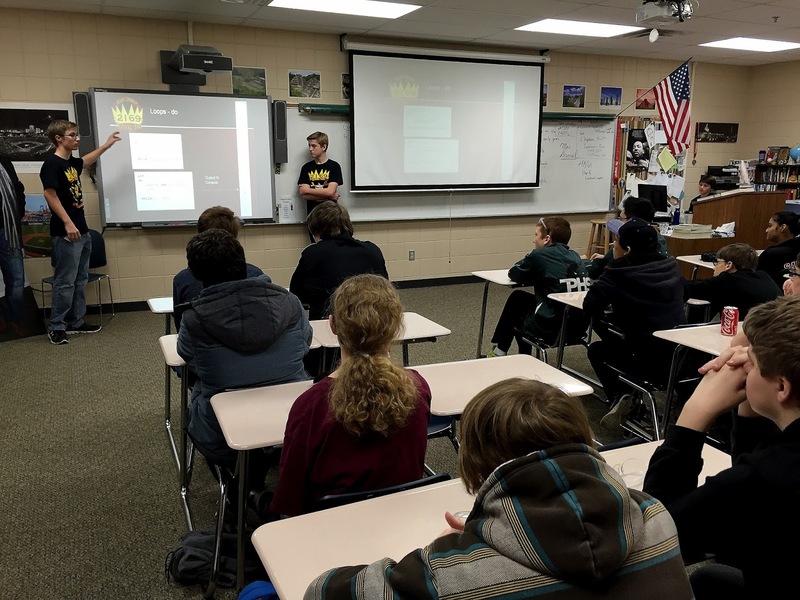 In November, Prior Lake Robotics hosted the 2016 Minne Mini Tournament. The event gets about 2000 visitors to come watch some exciting robot on robot action. 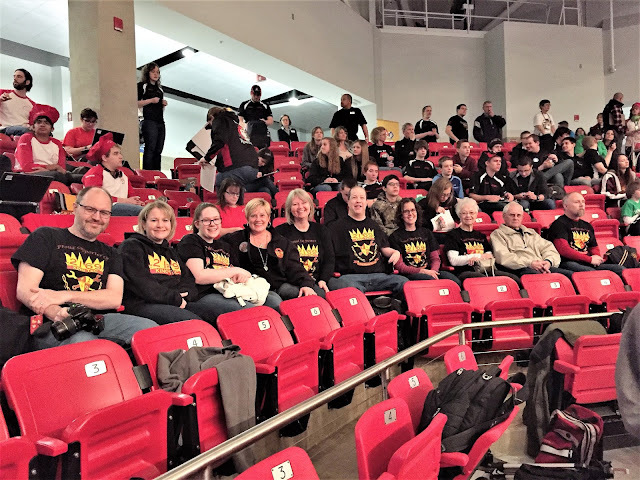 The tournament has 36 teams from around the state of Minnesota who come to Prior Lake High School to compete in last year's First Robotics Challenge. It's a nice way for the younger kids to get experience in participating in an actual tournament to help them prepare for the 2017 game which will be announced in early January. Students are responsible for designing, building, programming, and operating the robot each year from scratch to perform a series of tasks to score points during the game. It's usually pretty stressful getting the robot ready on the night before a tournament. Parents and friends of the program prepare meals for the huge number of volunteers it takes to set up the Mini Minne Tournament. The field is pretty massive and has to be transported by semi truck. Volunteers work into the late hours of the night to be certain it's ready on time. Before the tournament, students teach a variety of classes to other teams on how to be more successful in competing in First Robotics. This photo shows a class on Java programming. Cooperative competition or "Cooperatition" is one of the fundamental principles of First Robotics. 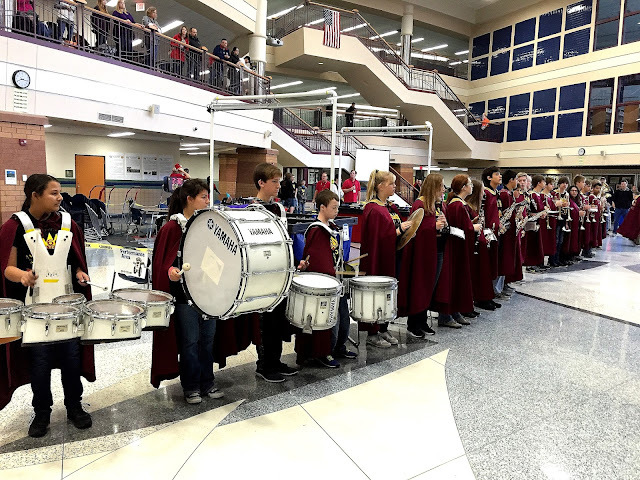 Not a lot of robotics teams have their own band, but KING TeC's does a great job playing the national anthem to start the show. Judging these robotics teams can be quite challenging with so many talented students involved, but we're lucky to have a lot of great judges who help us each year. The KING TeC drive team was intensely prepared for a day full of competition. Outside of the tournament floor, our FTC teams had a chance to show off their skills and answer questions. Their season is already well under way with some of our Prior Lake Robotics teams advancing through the various levels of competition. At the same time that the high school FRC tournament was happening, Prior Lake Robotics also hosted a tournament for the First Lego League elementary school teams. The robots and players may be smaller, but the excitement and competition is still as intense as it is in the gymnasium with the older kids. Congratulations to all the FLL teams who competed. Mentors from the high school FRC team KING TeC #2169 help run the FLL tournament for the elementary school students. Our youngest teams are in Junior FLL. They had the chance to display their creations during the tournament. High Tech Kids runs the tournaments for the FLL teams. Congratulations on another great year! We're pretty lucky to be in a school district that supports robotics as much as ours does. This is the president of our booster club, the principal of one of our local elementary schools, the principal of the high school, our head coach, the superintendent of schools, and a school board member who all came to the tournament to show their support. We sure appreciate all that they do for us. Prior Lake Robotics has a tremendous group of supporters who help our program to grow and build STEM skills in hundreds of students. We wanted to give a special shout-out to our friends at PTC who have been such great supporters of Prior Lake Robotics over the years. Thanks, PTC!! Here is what we have left on the calendar for vex. Dec. 15th 7-8:30 Only the field will be set up for practicing. Dec. 17th Vex tournament day.